Build the foundation of tomorrow’s Jewish community today. In 2010, the Sidney Warren Estate provided $1 million for a Science Education Centre for Youth at Tel Hai College. 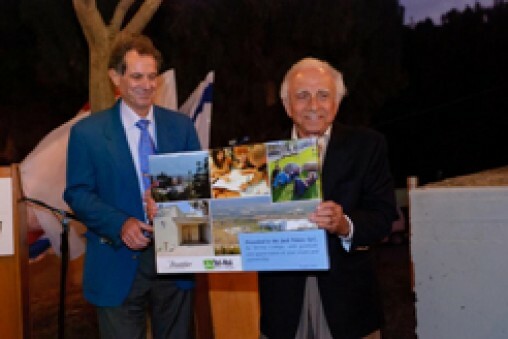 The gift also included $400,000 for the three year Full School Program at Danziger School and $50,000 for a three-year program for youth-at-risk in Kiryat Shmona. It is the largest gift ever made from Atlantic Canada to Israel. Each of can make a difference in the lives of future generations by leaving a charitable legacy. Our parents and grandparents built this Jewish community. That is their legacy. Securing its future financial strength is your legacy. You are vital to your family, community, Israel and the Jewish people. You do so much to support causes important to you and your family. We are able to set up a permanent legacy using planned giving vehicles specifically tailored to your financial and estate goals. Through Jewish Federations of Canada – UIA, you can extend your commitment into the future so that generations to come will be able to enjoy rich Jewish heritage and traditions that your family enjoys today. Passing on Jewish values from generation to generation is one of the most fundamental tenets of Judaism. In keeping with Jewish heritage and values, Jewish Federations of Canada – UIA encourages and facilitates the creation and growth of endowment funds to enable the community to realize its potential with the Legacy Endowment Fund. Our Legacy department maintains stewardship over all assets entrusted to the Legacy Endowment Fund at Jewish Federations of Canada – UIA and distributes grants that reflect donors’ wishes and community priorities; and provide leadership in the Jewish and general communities. We offer you an opportunity to realize your vision of a stronger, healthier Jewish community by providing the expertise in the structure and management of planned gifts that benefit current and future generations. We work together with professionals in the areas of estate, tax and financial planning to provide the most current information pertinent to charitable giving and to assist you in achieving your philanthropic goals in the most tax-advantageous manner. This is your chance to build the foundation of tomorrow’s Jewish community - today. Contact Veronica Klein at 416-636-7655 or vklein@jfcuia.org to learn more.